As if traffic, the environment and the cost of a parking decal were not enough reasons to leave the car at home, UMass Lowell’s new partnership with the Massachusetts Bay Transportation Authority (MBTA) will give students a new reason to consider traveling sustainably. 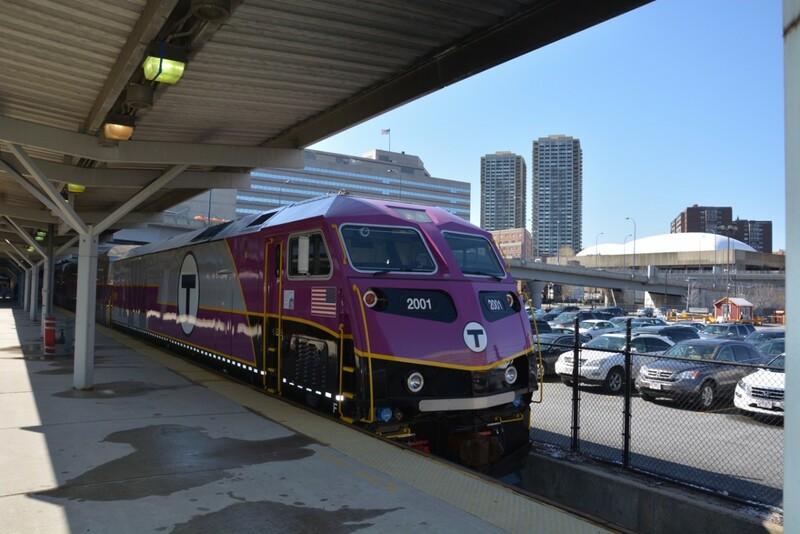 Starting this fall, UMass Lowell students, staff and faculty will be able to ride the MBTA’s commuter rail service from the Gallagher Terminal all the way to North Station in Boston free of charge. The Lowell Line, making stops at West Medford, Wedgemere, Winchester, Mishawum, Woburn, Wilmington and North Billerica. Nick Piscitello, Director of Administrative Services, oversees all aspects of campus transportation including UMass Lowell’s partnerships with Lowell Regional Transport Authority (LRTA) and Merrimack Valley Regional Transit Authority (MVRTA). His office is constantly looking for ways to lighten traffic and cut down on carbon emissions from student cars, as part of UMass Lowell’s dedication to create a eco-friendlier campus. Piscitello is particularly excited about this new MBTA partnership because it will help fulfill the lofty goals of a greener community for both UMass Lowell and the city of Lowell itself. Free transit will give hundreds of students rides home from Lowell on weekends and holidays, unclogging some of the more congested highways and streets. “Having multiple programs now, we’re getting into hundreds of cars that are coming off the streets, and that’s going to have a big impact not only for parking, but also for traffic,” Piscitello said. The positives of this program don’t just stop at creating a more environmentally friendly campus, though. This is also a huge boon to students looking to take internships in the Boston area or just looking for things to do on the weekends. A ticket normally costs $10 each way; with this new initiative, students and faculty can take the Lowell commuter rail as often as they want for free. “This will allow students to ride the MBTA at no cost to them, so we’re really excited about that,” Piscitello said. Once the program is fully launched, UMass Lowell students, faculty and staff can download the mTicket app and sign up for an account with their UMass Lowell e-mail. LRTA buses 6,7, or 9 passes by UMass Lowell and go to Gallagher Station, making it easy to simply hop on the Lowell commuter rail using their UCard. All routes on all lines are integrated with Google maps, and the LRTA even has their own free app RouteShout 2.0 that tracks buses in real time, so students can know exactly when the next one will be coming to plan their trips. Overall, the partnership will help the environment, people’s wallets, and the traffic in the city of Lowell. The launch date will be on UMass Lowell’s website in the near future and will have additional information on this new initiative.